I’ve been in the hair care industry for over 25 years, and during that time a top question has always been “How can I naturally grow edges back?” Back in the ’80s, most black women had asymmetric bobs or full volume shags with relaxers. As the ’90s rolled in, we saw Halle Berry hit the scene with a short hairdo that everyone was pressed to sport. Many celebrity black women began to jump on the bandwagon. There was Toni Braxton, Jada Pinkett, Nia Long, and several others. I even joined in on the party and rocked the short crop for many years. What we didn’t realize, in all of our Einsteiness, was something we would soon learn, and sometimes too late, is two simple terrifying words…tension alopecia. 😩 Tension alopecia is a “lay low, strike when least expected” kinda enemy. The thing about tension alopecia that makes it so deadly is the fact that you don’t really know there is much damage until it’s visibly noticeable. By then much has been lost. This is brought on by hair being pulled too tightly and for an extended amount of time causing too much stress on the hair follicle. This stress leads to everything inside the cavity that holds the hair strand to be ripped out, which completely halts hair growth. The edges will go first because that’s where hair is typically finer and most exposed. In many cases, the growth of the hair has fallen dormant and just needs a good push and some tender loving care to get it thriving once again. Below are five ways to summon back that relocated hairline and bring it home where it belongs. Aggressive hairstyles are the number one culprit of hairlines becoming MIA (Missing in Action). Hairstyles, where you don’t have to do anything but get up in the morning and take off your headscarf, is very convenient but is the most damaging to the health of your hair. It can be a hard pill to swallow, but yes…you’re going to have to actually comb your own hair from time to time. If you wear braids or weaves, give your hair break sometimes. Maybe get it done two times in a row, then wear your own hair for a couple of months. If you can’t manage to go without your weave, leave your perimeter out of the cornrows to keep the stress off your edges. If you’re worried about the edges drawing up, put a little mild relaxer on it and use a medium heat flat iron or pressing comb to help keep it under control. It’s not the best thing to do, but it’s better than the constant stress. Getting control of your edges and keeping the frizzies away is a top priority on the list of “hair must’s” for most women of color. Laying those edges down with a slick gel-like substance seems like it’s the best thing since sliced bread. But don’t go jumping for joy, most of the edge control products on the market contain an enormous amount of alcohol which is the kiss of death to hair when used for an extended period of time. All is not lost though, there are a few edge control products on the market that have little or no alcohol in them at all. The only drawback is that you may have to apply the product more often but it’s worth it if your edges are still intact when it’s all said and done. Just be sure to avoid edge control products that contain Ceteareth-25, or Peg-7 Glycerol Cocoate which are both alcohol derivative ingredients. If you want to learn more about it check out “Does Edge Control Damage Your Hair?” post that goes more into detail about it. There are so many products out there on the market today that promise long luxurious locks if you use it on a regular basis. Some are legit where others, no matter how many pills you take, ounces you drink, or jars you slather on your scalp, will not give you the results you’re looking for. One thing for sure is proper nutrition, and that only comes from eating whole foods. There are many foods that contribute to hair growth, but there are 5 power foods that are the cream of the crop when it comes to keeping those tresses in top shape. Carrots – rich in beta-carotene that is converted into vitamin A. Carrots contain biotin, which helps promote hair growth. Other beta-carotene sources are sweet potatoes, spinach, and kale. Salmon – rich in vitamin D and omega-3 fatty acids, salmon helps hair growth in a huge way. 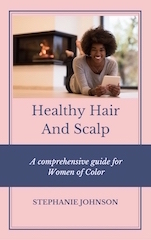 The vitamin D helps in the simulation and nourishment of hair follicles, and the omega-3 fatty acid helps lubricate the scalp and reduce dryness that can lead to hair breakage. Eggs – not only do eggs have protein and iron, but also biotin which helps control loss by improving the infrastructure of keratin – which is what hair is made from. Just keep in mind that it’s the yolk that has all the power – not the egg white. Avocados – man oh man do I love me some guacamole, which is mainly smashed up avocados. That’s a good thing for my greedy tail too because avocados are rich in the kind of healthy fat that keeps your hair soft and shiny. They are also high in vitamins B12 and E, which may improve the quality of your hair strands. I talk more about the benefits of nutrition and hair in Hair Growth Secrets Made Easy if you want to learn more. I know…that statement is kinda general, but let me explain a little more. One of the things that have been a staple in black hair care since Madame CJ Walker days is “greazin” our scalps. The problem with that is something that I’ve talked about many times over the years. You see – most hair “greases” that we find in our local beauty supply store contains lanolin, waxes, or paraffin whose molecules are way too large to sink into human skin. If the product is just sitting on the scalp and not able to penetrate, how can it nourish the follicles and help bring about healing? Essential oils do just that. It sinks into human skin bringing along with it vitamins and nutrients to help feed the hair follicle and thus promote hair growth. There are many essential oils out there that alone or used in combination as a scalp treatment will help hair grow and keep it healthy. The best way to know which oils are best to use for you and your set of circumstances is to become educated on them. I won’t go into detail about the many different oils available because that would make this post just way too long and I’m sure you’ve got stuff to do too. I have however made the essential oils for hair growth section quite detailed in Hair Growth Secrets Made Easy. If you would like to become knowledgeable about essential oils for hair growth it would be worth it to take a look at the course. I once heard a client say “dirty hair grows faster.” Uh….excuse me? I couldn’t believe what I was hearing. Dirt and bacteria can be the main factor in follicle damage which can lead to permanent hair loss. If you want to keep your hair healthy and thriving, shampooing it once a week is best. Keeping a clean scalp ensures a healthy environment for hair to thrive free from product and sweat build-up which harbors bacteria. Bacteria can cause a fungus to begin to grow on the scalp which shows up as scabs, scales, and bald spots. It’s true that shampooing hair too much, especially if you’re African American, can cause the hair to become dry and more prone to breakage. But if you shampoo no more than once a week and deep condition at least once every 6-8 weeks, you give your hair a fighting chance at being and staying healthy. Discovering that you’re losing your hair can be quite scary, but it doesn’t have to be. 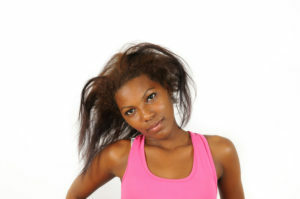 If you keep in mind that you are the one in control of the health of your hair, it can become less stressful.